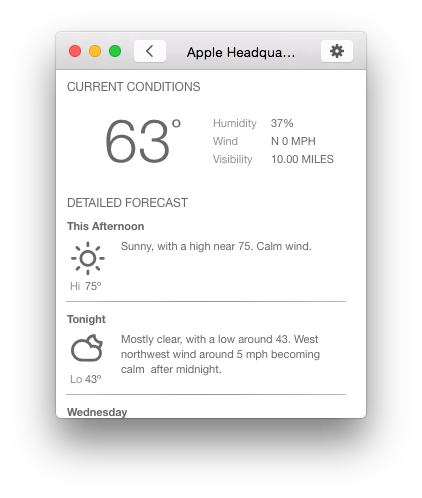 Forecaster is a modern weather app for the Mac. It does not try and wow you with simulated pictures or movies of the weather. It provides a simple and clear forecast for weather locations you select. If snow is in the forecast you will actually get the predicted snowfall total and not just an icon that leaves you wondering. If the location you select is a body of water you will get a marine forecast, letting you know how big the waves will be. It gathers it&apos;s forecasts from NOAA and therefore is only available in the United States and it&apos;s territories. Some of the unique features of Forecaster are that it updates the dock icon with the temperature of your current location. It has a clean and easy to use interface, and provides a great map view. 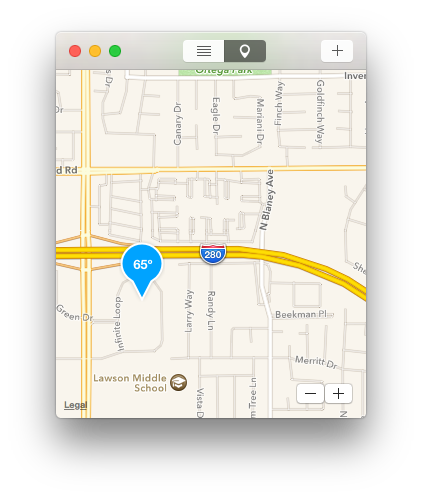 Adding new locations is as easy as centering the map on the location, creating a name for the location, and saving it. The saved locations are synced across your computers through iCloud, so you will only ever have to maintain a single list of locations. 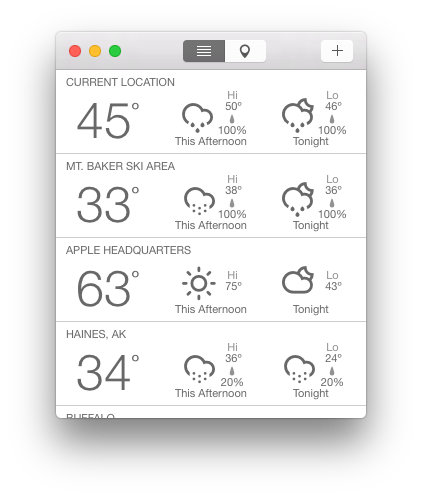 Forecaster is available on the Mac App Store. Updated UI to match iOS, added support for Celsius, support for saved location temp on dock icon, add help to application. Updated UI for Yosemite. New logos and a faster drawing enging. Improved syncing engine. Only supports 10.10 and newer now. Faster syncing engine for updating forecasts.